The Mode-Gap project targets the 100 fold enhancement of the overall capacity of broadband core networks, and seeks to provide Europe with a lead in the development of the next generation internet infrastructure that will soon be desperately needed if we are to keep pace with society’s ever increasing data-transmission requirements. It is now recognized that research results are within a factor of 2 of fundamental capacity limits, bounded by fibre nonlinearity and the Shannon Limit and radical approaches now need to be investigated if we are to avert grid-lock on the internet. MODE-GAP will develop multi-mode, photonic band gap, long haul transmission, fibres and associated enabling technologies. These fibres offer the potential of order of magnitude capacity increases through the use of multiple-input-multiple-output (MIMO) operation of the multi-mode fibre capacity and further order of magnitude capacity increases through the ultra low loss and ultra-low nonlinearity offered by multi-mode photonic bandgap fibre. 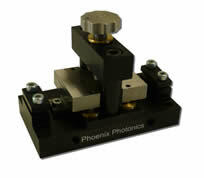 The Phoenix Photonics in-fiber LP01-LP11 mode coupler is for use with dual mode optical fiber. The mode coupling is achieved by a Long Period Grating (LPG). The principle of operation is to create a periodic mode coupling in the fiber at the beat length between the two modes. Phoenix creates the coupling using the electric arc technique. The grating created in the fiber will couple power between the LP01 mode and the LP11 mode when the period is matched to the beat length between the modes at the central operational wavelength. The Phoenix Photonics variable LP01-LP11 mode coupler is for use with dual mode optical fiber. The principle of operation is to create a periodic bending of the fiber by varying the pressure applied by a mechanical long period grating (LPG). The pressure grating created in the fiber will couple power between the LP01 mode and the LP11 mode when the period is matched to the beat length between the modes. 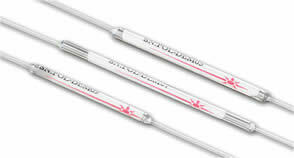 OFS offers ClearLite®1700 20, a passive fiber for applications around 2000 nm. To address the emerging multimode and multicore space division multiplexing (SDM) applications in telecommunications and fiber optic sensing, Phoenix has developed a few mode fiber (FMF) multiplexer / demultiplexer component with low insertion loss and low mode dependant loss (MDL). The Photonic Lantern is part of a range of space division multiplexing products to enable manipulation of few mode fibers in SDM systems.